Since my earliest memories I have been fascinated by butterflies, They always represented something magical to me. I love watching them flutter around in the garden, each one so unique in its own right, fragile and beautiful. They are little ballerinas dancing to the music of the wind. The sight of them always fills me with joy. As a child I had a butterfly brooch. It had ruby red wings which glittered in the sunlight. I love holding it up and pretending I could fly away with it. Some cultures view butterflies as being closely linked to our souls, and are associated with resurrection. They are a symbol of change and transformation. Butterflies dance in and out of our gardens, sit on our windowsills and bring smiles to our faces on a daily basis. They brush our shoulders and hearts with delicate wings. They fill our thoughts with wonder at their effortless flight. I have had many butterflies moving through my world, colouring my days with their colour and gaiety. I call these butterflies friends, family and loved ones. Each one has added beauty and happiness to my life. Some seemed to enter my world by chance and others by design, but none ever without purpose. 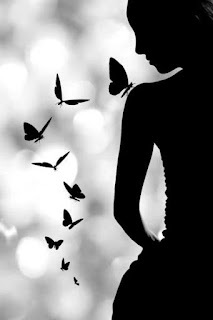 Some butterflies dance and twirl with me through life, always by my side, while some tarry for only a little while. However, whatever their role is or has been in my life, their presence will always linger in the way the breeze touches my memory and I will recall the gentle flutter of their wings against my heart. For every butterfly that has visited my garden and touched my soul, thank you. You are special and I treasure you.